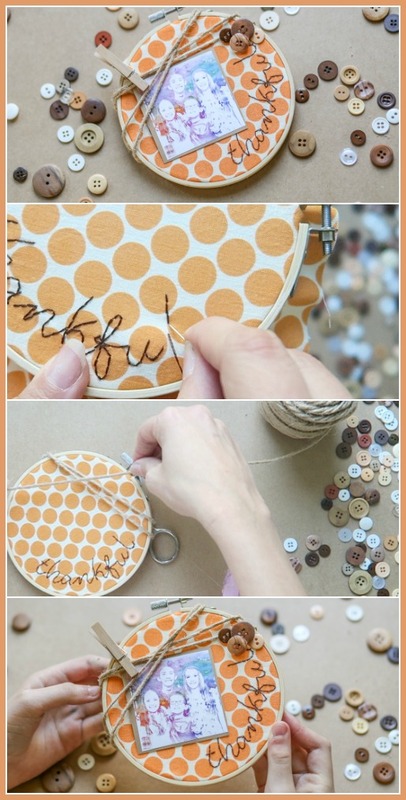 I love simple embroidery projects, and this is no exception. 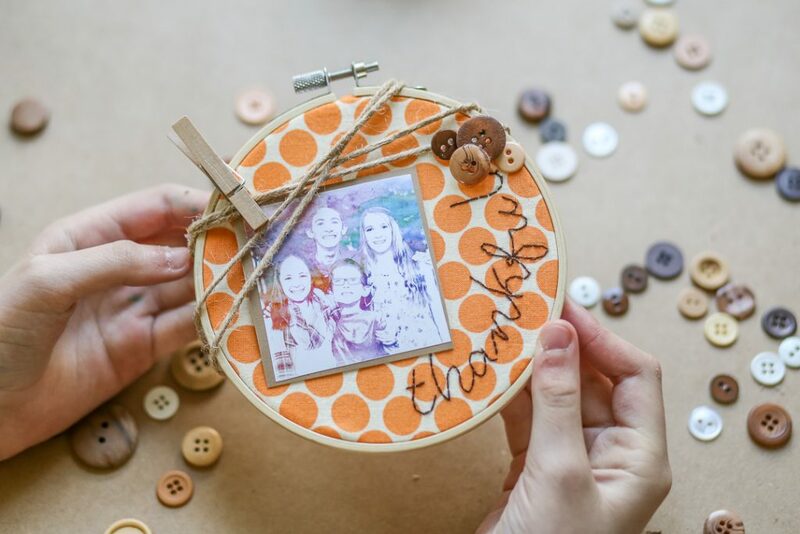 In no time at all, you’ll have a fun Thankful Embroidery, Thanksgiving Craft where you can display a photo of what you’re thankful for – way cute, right?! Lucky you, video tutorial today!! 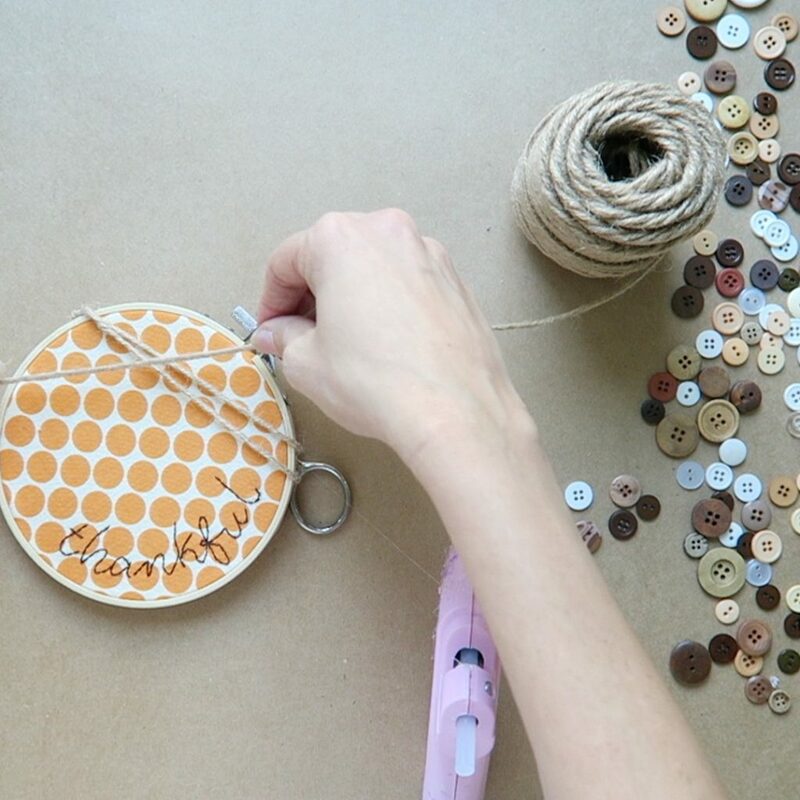 Trim fabric around hoop and wrap twine around a corner of the hoop as shown below. Hot glue into place on the back of the hoop. 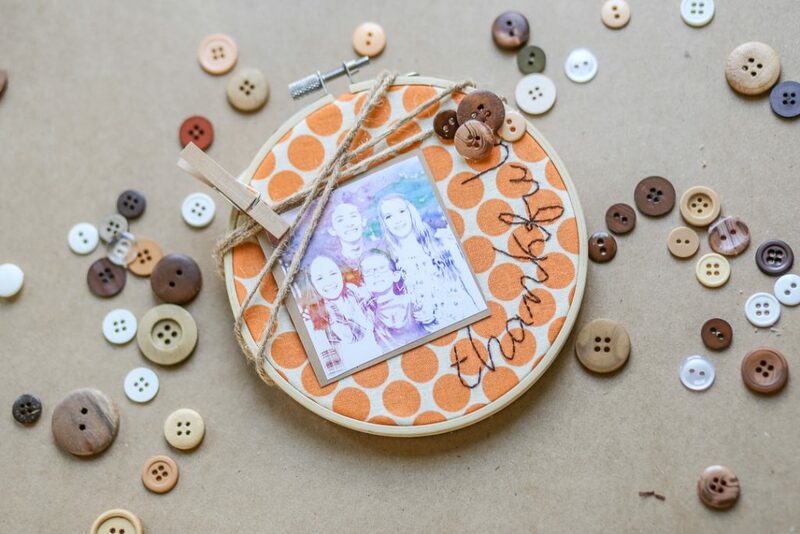 Use hot glue to attach buttons and other embellishements. 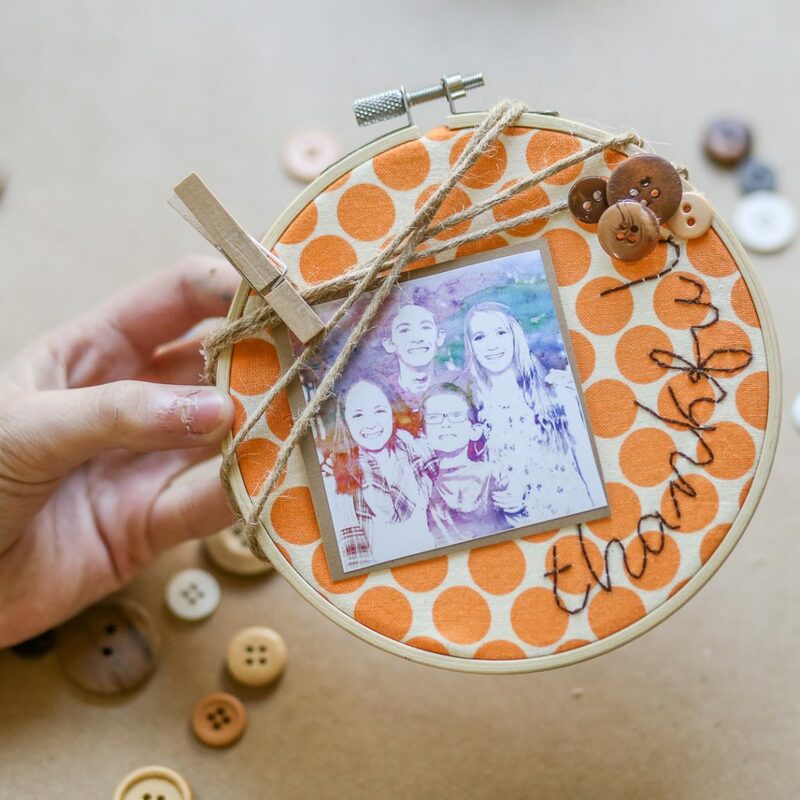 Then use a clothespin to hold a photo of what you’re thankful for – that’s all there is to it!